Kotriwala, A.M, Hernandez-Leal, P, & Kaisers, M. (2018). 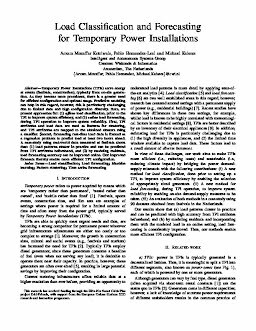 Load Classification and Forecasting for Temporary Power Installations. In Proceedings of Innovative Smart Grid Technologies (ISGT Europe), 2018.